Thanks to the continued support of Enbridge Pipelines Inc. 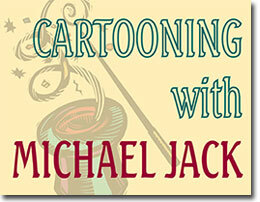 Mask Magic with Rola Jaber and Cartooning with Michael Jack and amazing youth volunteers! Tips for selling your art at festivals. by local artists and groups. "Projects for the 1997 Year: One of the big projects we would like to become a reality this year is an artisan show involving all the visual and performing artists. An outdoor show at Rotary Park in Ajax or at Pickering Town Hall with pantomime, bands, artists, craft show and hands-on demonstrations." from PRAC minutes. Every summer, Esplanade Park comes alive with music, dance, crafts and singing, along with children's art areas and artists demonstrations. 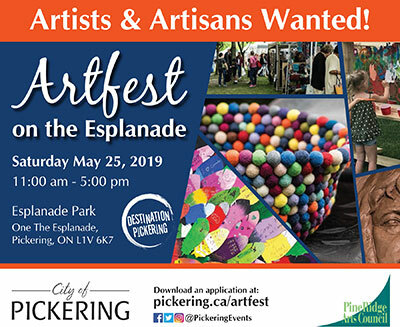 This free arts event will include over 90 artists from across the province who show and sell a fantastic variety of original art which include Paintings (Oil, Acrylic, Watercolour), Photography, Pottery, Wood Carvings, Jewellery, home decor and more! The event is rounded off with our fantastic partners offering activities and experiences for all to enjoy; Live artistic performers and buskers, hands on activities, and special offerings from PineRidge Arts Council who will offer their mask magic activity, Pickering Community Concert Band providing a live performance at the gazebo. Each year PineRidge Arts Council offers a new arts experience to visitors at Artfest. This year, thanks to the generosity of Enbridge Pipelines Inc., kids of all ages will be able to paint and decorate free wooden masks to take home. The annual popular outdoor event, Artfest on the Esplanade, brings families together at the arts and crafts tables. Parents, grandparents and kids will receive guidance and suggestions from a PRAC teaching artist (if they wish) and create their unique mask to show off and treasure.